With summer coming to a close and the arrival of winter in Jasper, I decided to go on one more road trip. The summer had been a busy one, and I wanted to spend some time reconnecting with myself. I timed the trip well; Jasper had just had large dumping of snow, but the temperature was still mild enough to enjoy some time outdoors. The Icefields Parkway that takes you to Jasper is also one of the most scenic drives in the world- so before I’d even arrived in Jasper my senses were wired with breathtaking beauty. Here is my list of what to do in Jasper in winter to feed your body and soul. 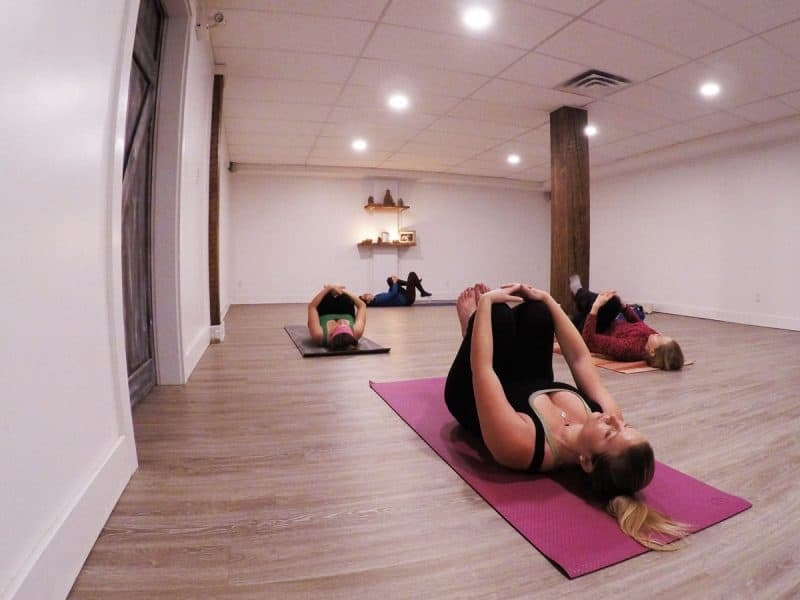 My first port of call was a yoga session at Jasper Wellness. 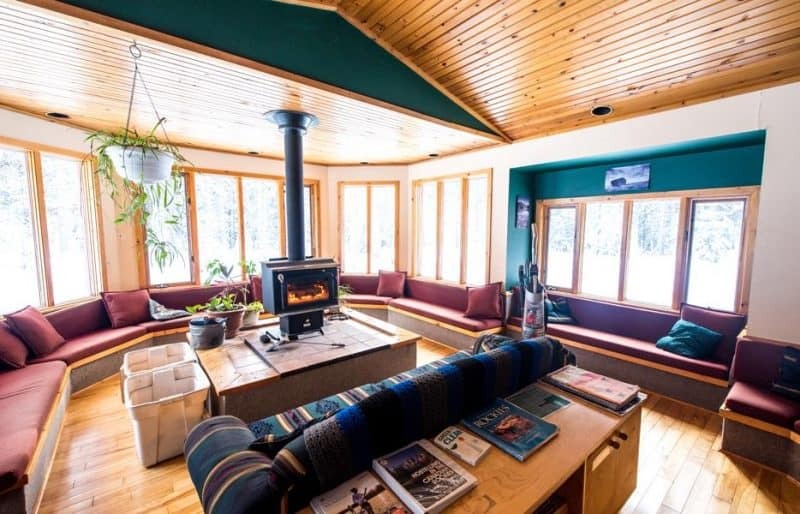 With yoga classes every day and a massage studio, this is the perfect place to start (or finish) your weekend in Jasper. From the moment I entered the centre and inhaled the soothing scent of lavender I found my zen. I attended the Gentle Flow class, which was a great warm up to the day I had planned. My tutor, Ashlyn was friendly and accommodating, and was happy to answer any questions I had. What I loved about this yoga studio was that every element had been carefully prepared with ultimate relaxation in mind. Guests can help themselves to a cup of tea in preparation for their class, or shop the array of jewelry and gemstones crafted by local Canadian artists. How to get there: Jasper Wellness is located at 76 Connaught Drive, on the left as you drive into the town of Jasper. The Jasper Skytram is the highest and longest aerial tramway in Canada. It climbs Whistlers Mountain to reach an elevation of 2,263m. A guide accompanies you on the seven minute flight, providing commentary on the the national park and its wildlife. If you’re as lucky as I was, you may even spot a bear from the Skytram! Our guide told us that this season a mother bear and her cub had chosen Whistlers mountain as their den. Cubs usually stay with their mothers for two years, so I’m sure they will be making appearances in 2018. 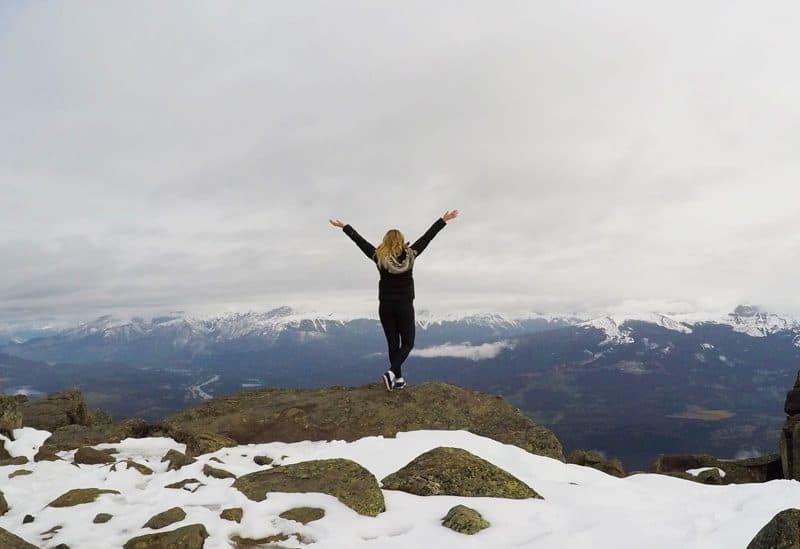 From the top of the Skytram, you can also hike to the summit of Whistlers mountain. This is a short 1.2 kilometre hike, where you reach 2,463 metres elevation for a 360 degree panoramic view. Allow 45 minutes for this and wear appropriate hiking shoes- especially if there is snow on the mountain. 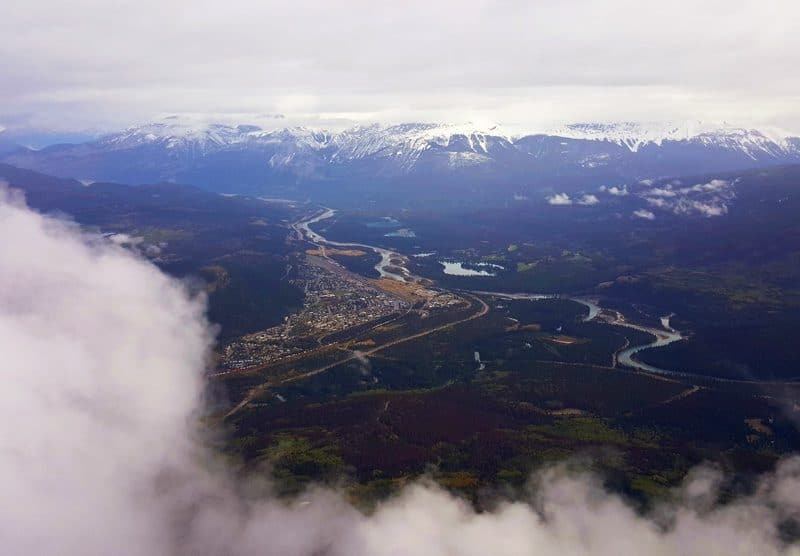 How to get there: The Jasper Skytram is approximately 8km from the town of Jasper. Head southwest on the Icefields Parkway. Turn right onto Whistlers Road, and follow the road uphill until you reach the Skytram. The Raven Bistro was recommended to me by a Jasper local. I wanted to eat somewhere that was healthy, affordable and tasty and The Raven ticked every box! I had the Soup, Salad, and Bread which cost $13- a great price for a yummy meal! 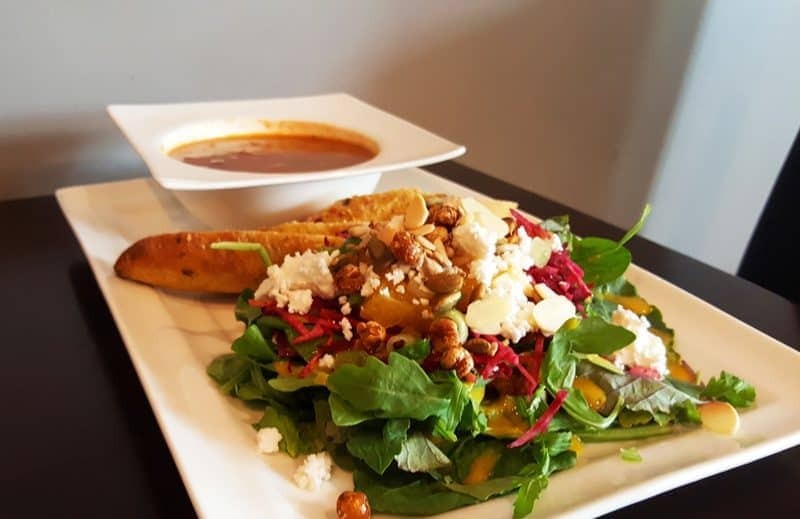 The Raven Bistro has been in operation for 25 years and is described as a “fusion of Mediterranean and local cuisine.” Complete with a bar and a generous list of wine, The Raven is a great option for those wanting somewhere cosy to dine in the colder months. The drive from Jasper to Maligne Lake in fall is a drive to remember; the larch trees turn a burnt yellow, the mountains have a fresh dusting of snow, and on those overcast days clouds sleep over the lakes. 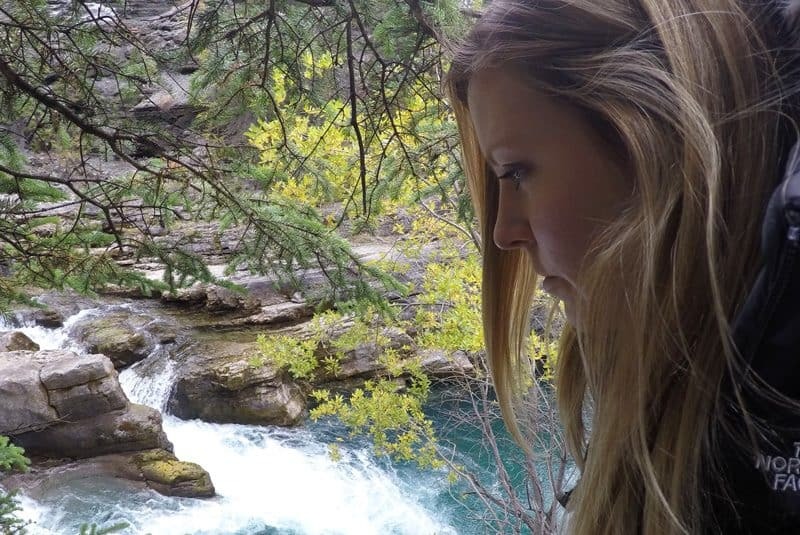 My first stop on the drive to Maligne Lake was Maligne Canyon, one of the most famous canyons in the Canadian Rockies. 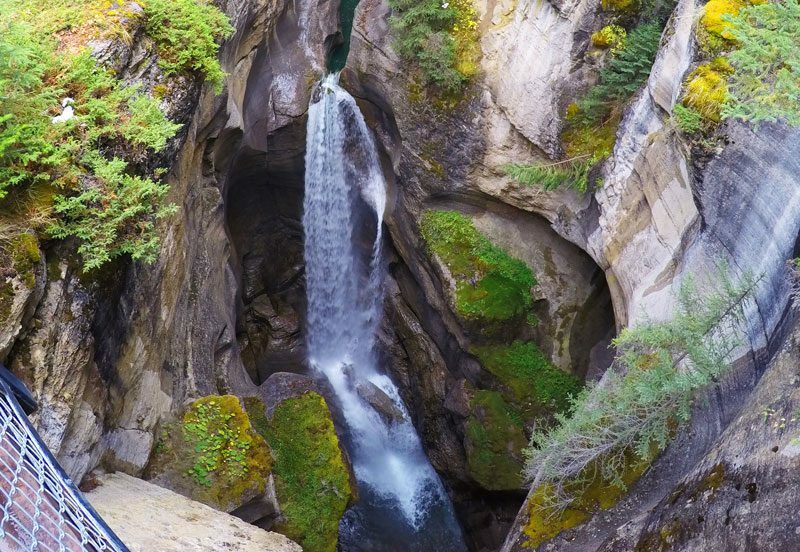 If you have time, there are several hikes you can do from Maligne Canyon, however the main hike here follows the canyon downstream where you will cross six bridges. This hike will take you between 1-2 hours, and is very easy. You can also spot marine fossils in the limestone between the first and second bridge. Due to the churning sensation of the water, the canyon is 50 metres deep and 2 metres wide, and it is continuing to deepen today. 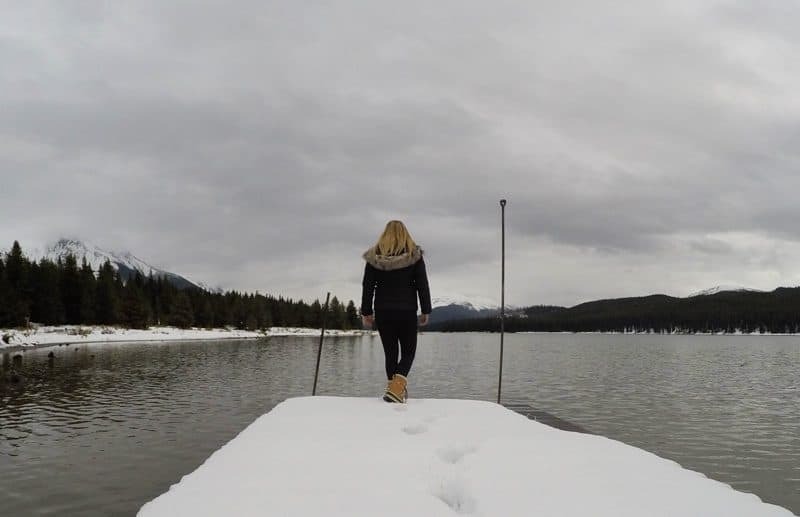 During winter the water is completely frozen, so no matter the season you visit Jasper, you are in for a visual treat. How to get there: From Jasper, head north on Connaught Drive and exit the town. Turn left onto the Yellowhead Highway, and then turn right onto Maligne Lake Road. The drive should take around 15 minutes from Jasper, and there are signs indicating the turn to Maligne Canyon. After leaving Maligne Canyon, my next stop was Medicine Lake. As I rounded the corner, I was stunned to see the majority of the lake was covered in snow. Snakelike patterns carved through the middle showing that it was indeed a body of water; weightless clouds grazed atop the lake imitating steam. This has got to be one of the most stunning lakes I have seen in Canada. How to get there: From Maligne Canyon, continue on Maligne Lake Road. If you drive for another 15 minutes, you will see Medicine Lake on your right. Maligne lake is known for its picturesque turquoise blue waters. I saw a different picture, however. Jasper had a huge dumping of snow the week before and was still under a snowfall warning when I visited. The sky was grey, with the sun glimpsing through occasionally. The result was spectacular! Even in the shoulder season, Jasper is one of the most beautiful places in the world. How to get there: Continue on Maligne Lake Road from Medicine Lake for another 30 minutes to reach Maligne Lake. To break up the drive from Banff to Jasper, I spent the night in a Wilderness hostel. 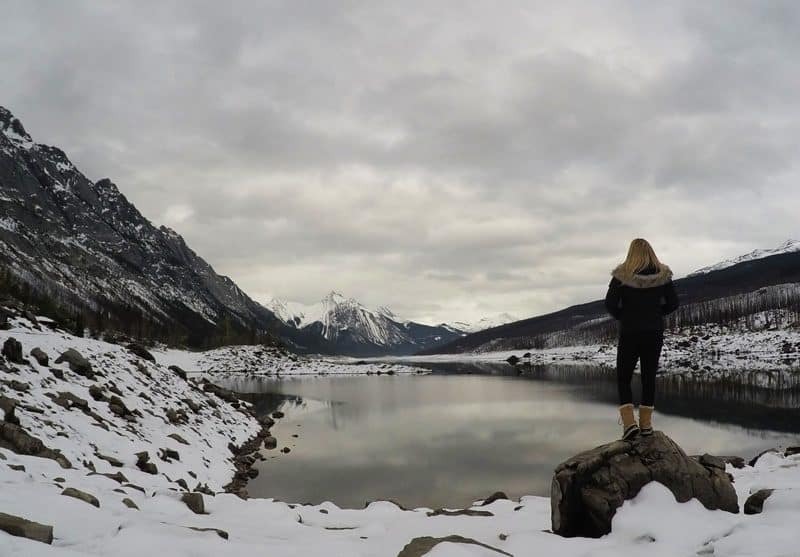 Hostelling International has several wilderness hostels between Banff and Jasper, with three differing degrees of ‘wilderness’: lite, classic and wildest. 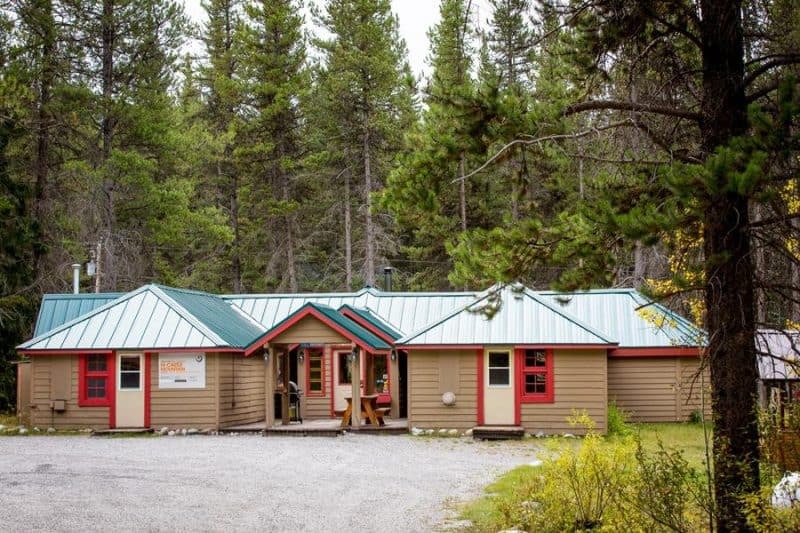 The lite hostels are like a traditional hostel, but are situated in the middle of the Canadian Rockies and surrounding area. They have electricity, indoor toilets and hot showers, but do not have WiFi. The classic option is a bit more rugged and you won’t find electricity or running water here, but there are kitchen appliances powered by propane. The wildest hostels require back country experience and you may need to cross-country ski or snowshoe to reach them in the colder months. They aren’t staffed during the winter and are accessible by key-code. I opted to stay at HI Castle Mountain which is a lite option. This hostel is one of the best I have stayed in; the lounge area was large, comfortable and accommodating; the kitchen had everything you need and despire sharing a room with 13 others, the room was warm and comfortable. Tony was a fantastic host- he is very knowledgeable about the area. Unfortunately this hostel is closing on January 1, 2018, so I was grateful I was able to spend a night here. It was great to disconnect for the evening and talk with other travellers in the hostel, curl up in the lounge with a green tea and a book before having a hot shower and an early night. The other wilderness hostels located between Banff and Jasper are: HI Athabasca Falls, HI Maligne Lake, HI Rampart Creek, HI Mosquito Creek, HI Hilda Creek, HI Beauty Creek, and HI Mount Edith Cavell. I hope you enjoyed my article about what to do in Jasper in winter! Have you been to Jasper? 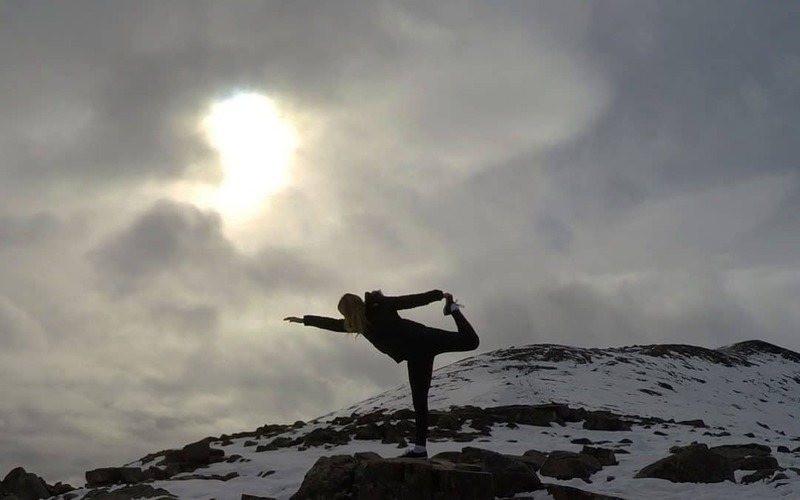 What are you some of your favourite places to visit for a wellness weekend? Sky tram and the lakes! That is my chose. 🙂 I am in love with Scandinavia and these places are quite similar. That is definitely something I would like to visit! I’m going to Jasper soon! This is uber helpful, thank you so much! I am SO EXCITED NOW! Even though I’ve just been- I am super jealous! Jasper is just too beautiful for words. Have an amazing time! This looks like such a beautiful place to visit! Would love to explore more of Canada. Thanks for sharing! I live in Jasper. In fact I grew up here. Now I am planning a trip to Scotland and I noticed you will be venturing out soon to do the Scottish trail. 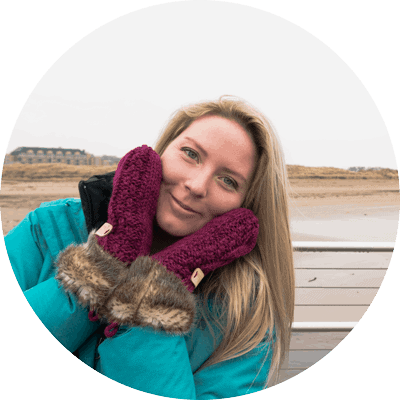 Did you want a good travel partner …an adoptive artist mom who is young in many ways and fit as well? Will do. Happy trails to you each and every day. I will hold you in my heart, brave warrior!